I had a blast watching my son participate in the variety show! Keep in mind the prices above are averages and will vary based up, size, condition, lay-out and upgrades. 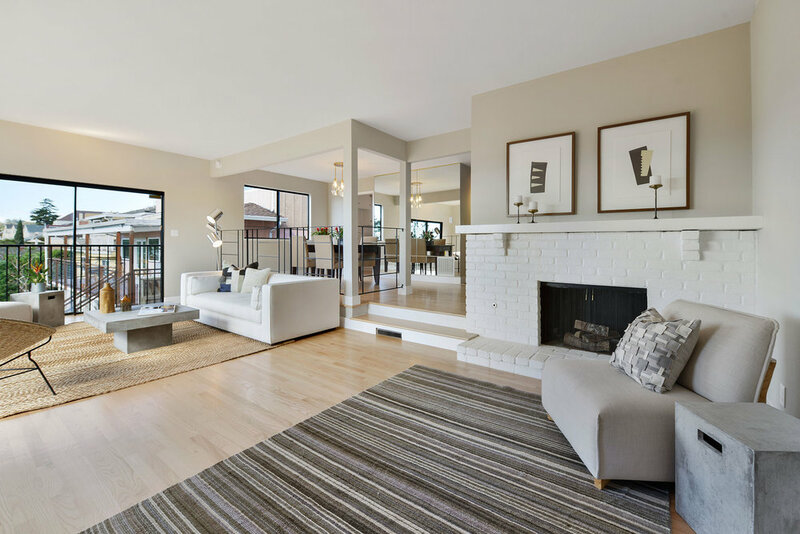 A few years ago, Liz and Eric sold their small house in Temescal and were able to buy a large home in Redwood Heights. This neighborhood is sometimes overlooked, but it's a great place to live. Plus, your money goes a lot farther compared to others. 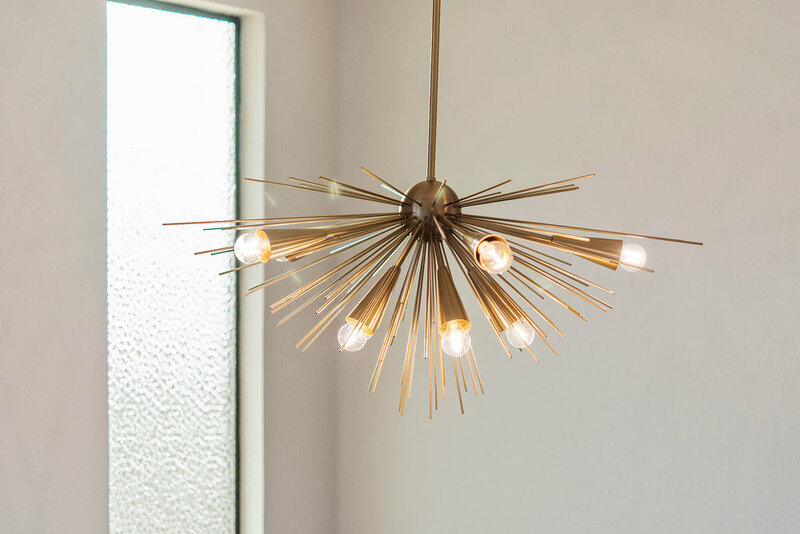 Liz and Eric's home in Redwood Heights was built in the 1970s, and they've renovated it to give a nod to mid-century design. They also opened up the entrance to the backyard with these great double doors. 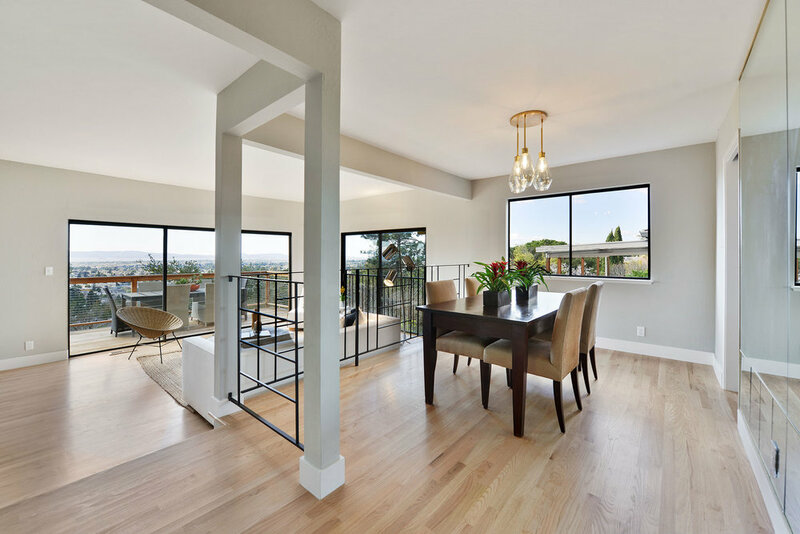 It opens up the kitchen, brings in natural light and frames the gorgeous landscaped backyard. What I like the most about their landscaping (besides that they designed it themselves) is the various focal points. The water feature, the private corner spa area, the deck, variety of foliage and the grass. 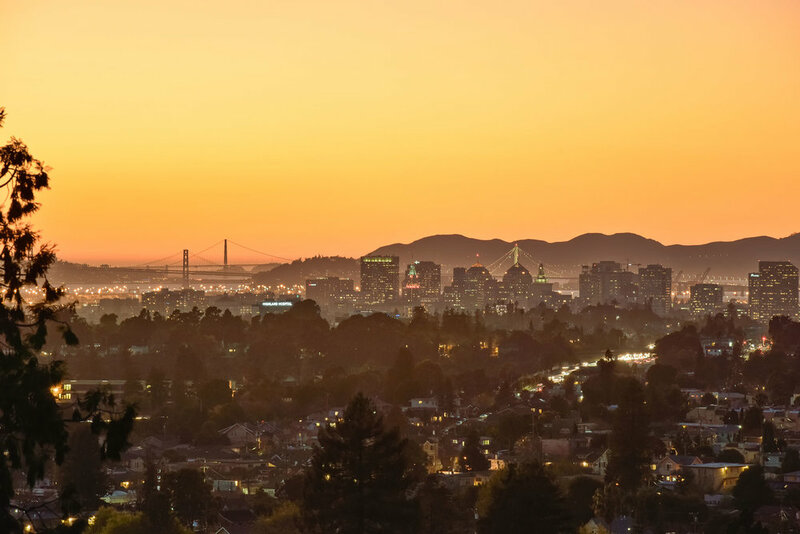 The Redwood Heights district of Oakland is located in the Oakland foothills between Highway 13 and Highway 580, and recently has been overlooked by many buyers. 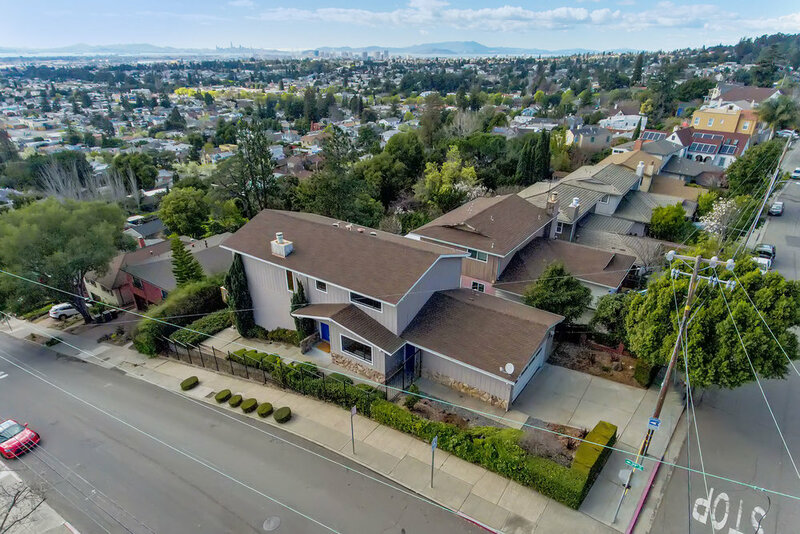 This neighborhood is comprised of Tudor, Mid-Century, and Meditterean homes, with a great group of homeowners ranging from people who have lived here from the 1950's to people just moving in. Being that I live in this community, I love walking my neighborhood and waiving at the familiar faces. One of the big assets of my neighborhood is the public elementary school, Redwood Heights. At this school parents are active, the school is beautiful and I personally enjoy sending my children to the school that both my mother, aunt and I attended. Every year the PTA hosts, The Harvest For Learning Auction, the biggest fundraiser for the school. The beauty of this auction is the parent participation. Parents host all sorts of parties and folks who attend the auction can purchase tickets on a first come first serve basis. This past auction, I purchased tickets to the second annual Redwood Heights Oaktown Scavenger Hunt. This was a well organized scavenger hunt in which participants where divided into teams of 4 members each. Each group was given the same list of approximately 40 clues or tasks, (For example, one of the tasks was to take a picture of a couple kissing. We thought it would be fun to get Bakesale Betty's proprietors, Betty and Michael to kiss, as Bakesale Betty is an Oakland icon. See the photo above and remember we have to be in the picture!) Each team had one digital camera and two hours to obtain photos at as many locations as possible from the list of tasks. There were strict rules, points would be deducted if you returned beyond the designated two hours, absolutely no cell phones or internet access to give you aid in finding obscure locations, and each photo had to have at least 3 out of the 4 team members in the photograph. Teams would get extra credit if all four members were in the picture, so aggressive teams asked strangers to take their photo. Equipped with sneakers, a water bottle and my three teammates, Lili, Kimberly and Tim, we were driven to win this competition. We had such a great time, saw many places in Oakland and were crowned the champions! This video clip features my son Miles with friends, Aeriel, Isabella, Jack, Antonio and Elijah, as they bring the 1970's back with the hustle. This performance was part of the 61st annual Variety Show sponsored by the Dad's Club at Redwood Heights Elementary School. Whether it is a beautiful kitchen, the sculpture of tree branches, or a painting, I love art! Recently, I held an art gala at one of my recent listings in the Redwood Heights district of Oakland, featuring the art of Hope Meredith. As we staged the beautiful 1941 bungalow preparing it for the market, we hung Hope's original art in every room. Once everything was polished, and the fresh flowers were in place, it was time for an open house/art gala. Both neighbors, friends, and perspective homebuyers mingled while enjoying wine, snacks, the house and art. Viewing art in the ambiance of a home is quite unique and special, and I am happy to announce Hope sold 6 pieces from her collection. This is what Hope said about the experience, "Deidre created an art opening within an open house- what a great way to showcase both, the house and the artwork! I never saw anyone do this before. I hope it's an idea that catches on! "You might remember me marketing this home, I advertised it as Javier's House located at 3318 Jordan Road; it successfully SOLD! To view this recently sold property go to, www.3318Jordan.com. At this home pictured above, I got to meet the 90 year old homeowner who built this house! The west side of Jordan Road in Oakland had their annual block sale over the weekend. Living here you can be part of an intimate block or two in Redwood Heights and sell your treasures in a multi-family garage sale. I walked to the sale from my house and was able to mingle with my neighbor-friends and pick up a few great finds! A staging company was being liquidated and I found a "like new" coffee table with copper top, thanks Will! 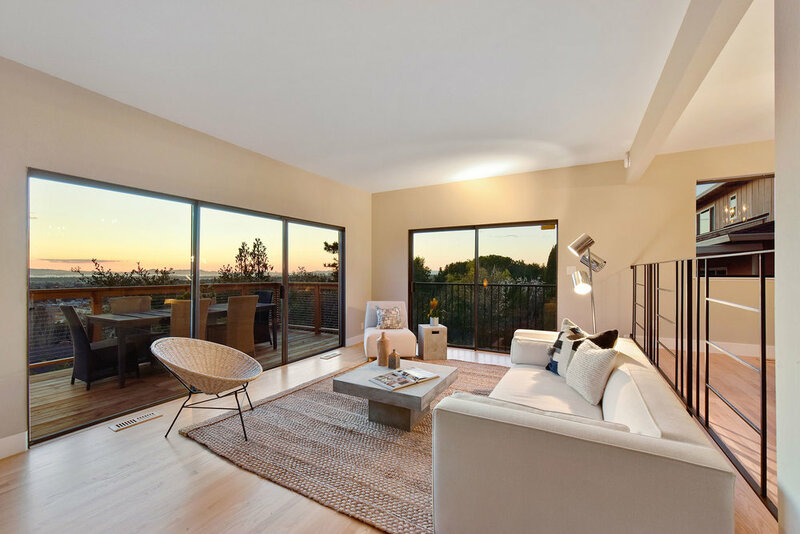 One of the best amenities to living in Redwood Heights are the neighbors. 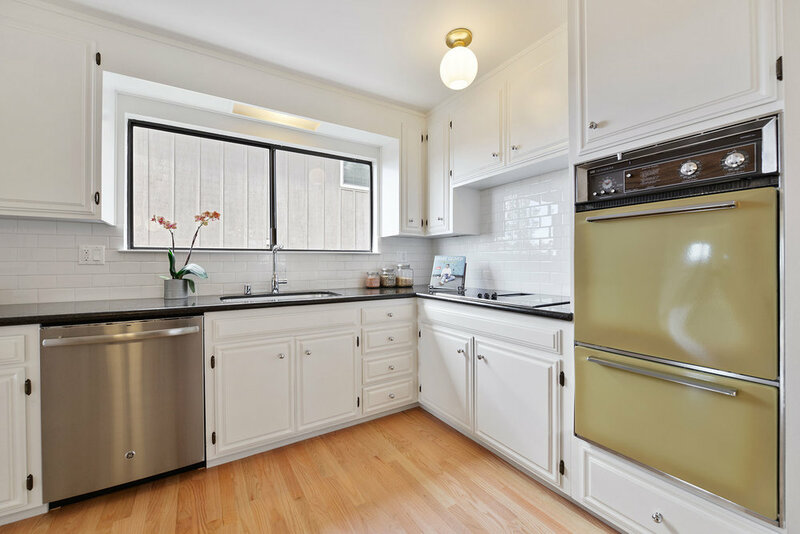 We are a friendly group of people ranging from young families to original homeowners from the 1950's and 60's. The streets are sunny and you will often see folks jogging, walking their dogs or in their gardens. Because many of the homes are one story, split level or ranch, homes with less stairs than other communities, folks end up staying in their homes longer as they get older. Cliff May, Mid Century Architect built homes in Oakland! Cliff May was known as the father of the California Ranch Home. In the 1930's he began building furniture and homes without any formal training. May wanted his homes to be about informal living with a great deal sunshine. His homes were typically U or L shaped had to be accessible to private outdoors spaces. 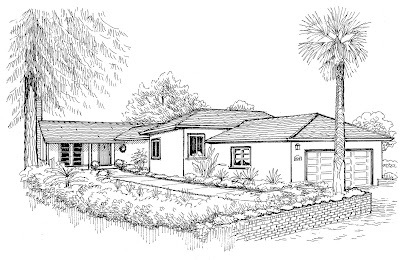 May modernized the California ranch house by using low-cost materials that would appeal to the masses. 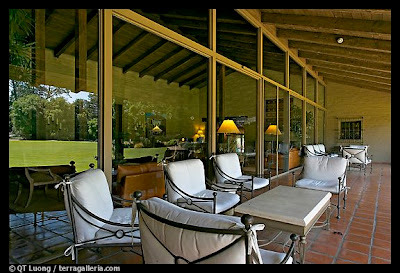 Building over 1000 residential and commerical properties, May was known for designing celebrity homes. He created Sunset Magazine's headquarters in Menlo Park and the Robert Mondavi Winery in Napa Valley. 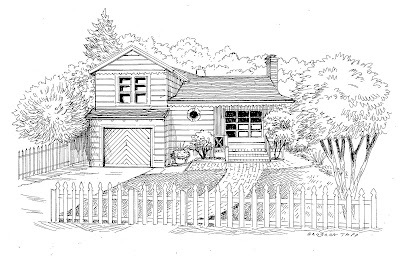 Last year one of Cliff May's home sold in Oakland, on Jordan Road! 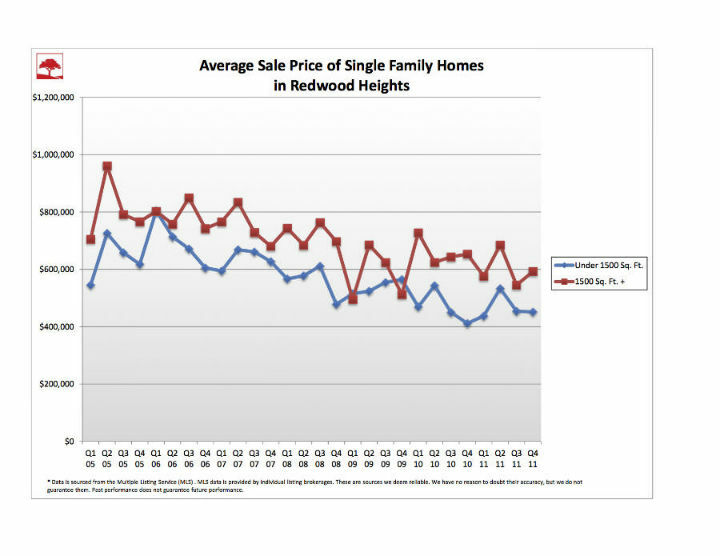 (The Redwood Heights District of Oakland.) May's plans were used in construction of more than 18,000 houses world-wide, including Switzerland, Australia and Ireland. Cliff May said, "If you can't walk out of the living room or bedroom or kitchen onto the ground, if you have to go down steps, you're not living like a real Californian lives."